KSBY – ATASCADERO, Calif. – A tourism boom on the Central Coast is driving demand for hotels in Atascadero. A brand new 131-room, four-story hotel just got the go-ahead in Atascadero. This hotel brings the number to three. That’s how many hotels are in the works in Atascadero. It’s an exciting time for the city because there’s a big demand. A rendering of the new hotel. The newest hotel will be located right across from the SpringHill Suites on El Camino Real near the Home Depot parking lot. The site was previously approved for two retail buildings but that plan was scrapped with an increase in demand for hotels. “We have a tremendous need for new hotels, in fact, the occupancy is very high for the existing Marriott SpringHill Suites right now,” said Phil Dunsmore, City of Atascadero Community Development Director. The SpringHill Suites is the newest hotel to go up in Atascadero, built in 2015. 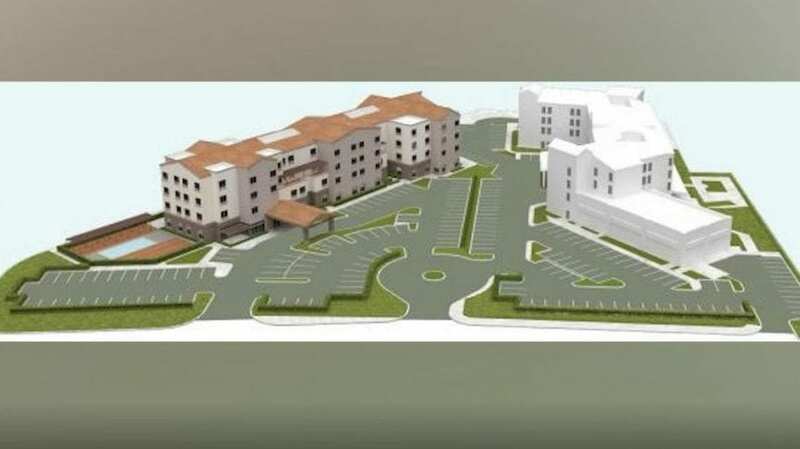 The other hotels, the Bridgewalk in downtown near the Galaxy Theater, is set to be done by the end of 2020 and an extended stay Hilton north of Del Rio is now under construction. “The reason that we decided to develop an extended stay hotel in Atascadero is because you’re in very close proximity to one of the best wine regions in the world,” Pearce said. In total, more than 330 hotel rooms are slated to go up, all over the next handful of years. “No, this is definitely a trend right now and it’s a change in tourism and it’s a change in the overall economy away from retail and more towards these visitor-serving uses,” Dunsmore added. The city says transient occupancy tax revenue was up nearly 3% from July 2017 to June 2018 and up 7.6% the year prior. The city says the draw to Atascadero is the zoo nestled in its five-acre park and lake area plus the downtown with boutique shops and outdoor activities. Also, wine country and Downtown San Luis Obispo are all within a 20-minute drive. The City of Atascadero is also spearheading a lot of community events that are drawing in visitors. The Tamale Festival will be held this weekend at the Sunken Gardens, which is expected to be a big hit. KSBY’s Alexa Bertola will be a judge so make sure you stop by and say hi.